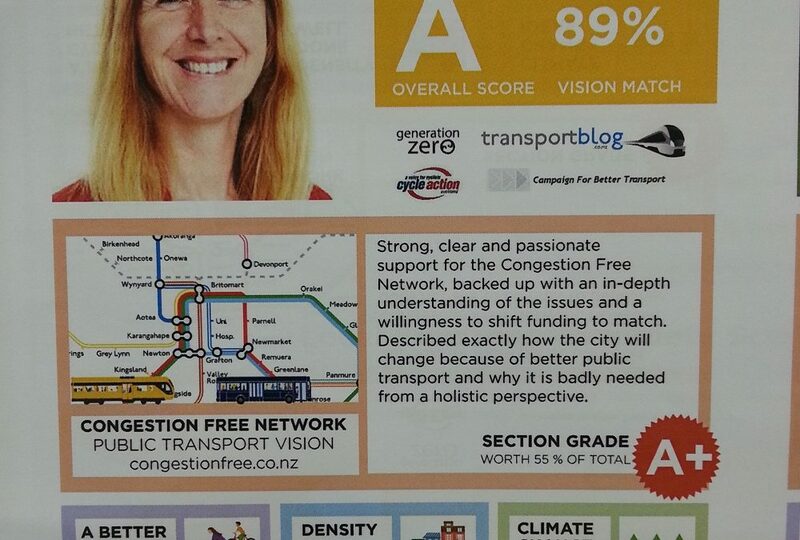 The score cards are intended to help elect leaders who can steer New Zealand towards a low carbon future. Mike Lee, Cathy Casey, Richard Northey, Christine Rose, Penny Hulse and Chris Darby have been named as standout candidates for their responses. 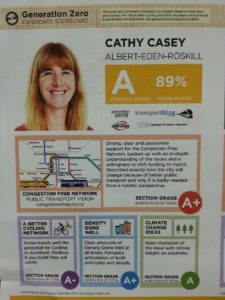 Cathy is described in her score card as giving strong, clear and passionate support for the Congestion Free Network, backed by an in-depth understanding of the issues and a willingness to shift funding to match. 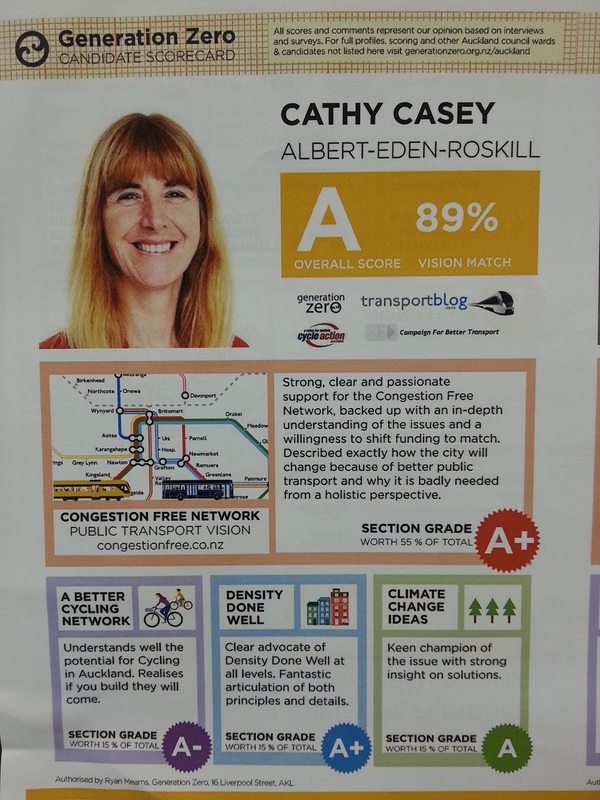 On the Unitary Plan Cathy received an A+ for her fantastic articulation of both principles and details. 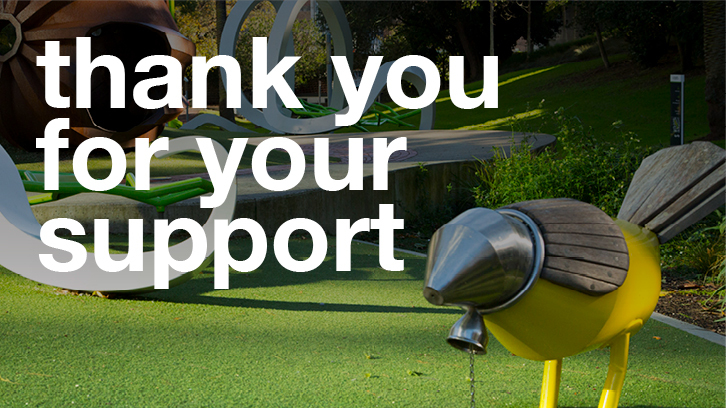 Congratulations to Generation Zero (together with supporting organizations Cycle Action Auckland, Campaign for Better Transport and Transport blog) for helping to inform voters and for making voting interesting. A huge amount of work has gone into collating the score cards. Results are available here. Local Board candidates will be surveyed over the next week.